Electronics technicians are people who primarily work with electronics equipment, such as communication equipment, medical monitoring devices, navigational equipment, and of course, computers. They help design, develop, test, manufacture, install and repair these electrical devices. By maintaining and repairing these multitude of devices, trained electronics technicians are highly valuable across multiple industries, especially in our digital age. As an electronics technician, you may find yourself working in a variety of fields, such as fixing LCD televisions or automotive speakers, or even work for the government repairing radar system issues. The types of jobs that are available are endless. Think of all the industries and areas of life that use electrical wiring and circuitry. You could find yourself in your dream field, working with state of the art equipment. Below are four main steps to take launch an electronics technician career. To begin with, you will need to complete your electronics training at a college or university that offers a program in this field. Choosing to undergo this training online is an excellent option for anyone who might be currently in the workforce and is looking to go back to school. With flexible learning schedules, you can study at your own pace, from the comfort of your home. The Electronics Technician Certificate Home Study Training Program allows you to take home training courses with an interactive learning package, saving you time and money in the long term. Once you begin your training, start thinking about what area you want to specialize in. As with any vocation, you'll begin learning broad foundations that applies to any industry and then specialize as you take more courses. Some areas to specialize include relay and substation equipment, electric motors and generators, commercial and industrial equipment, motor vehicle equipment and transportation equipment. Working with these different types of equipment will help you make an educated decision on your career move. The best way to learn any trade is through work experience. There's nothing quite like on-the-job training to help you expand, enhance and use your skill set outside of the classroom. Aiming to get work experience in the field you are looking to specialize in is key when it comes to establishing your career. Staying on top of changes in the field, industry technologies, techniques and guidelines will be something that you'll have to keep up throughout your career. Some programs also require continuing education for renewal, and industry updates and continuing education might be something your employer offers. Regardless, keeping yourself current in the field will be critical in ensuring you are on top of your game when it comes to careers, and excelling in them. In short, there's never been a better time to become an electronics technician. 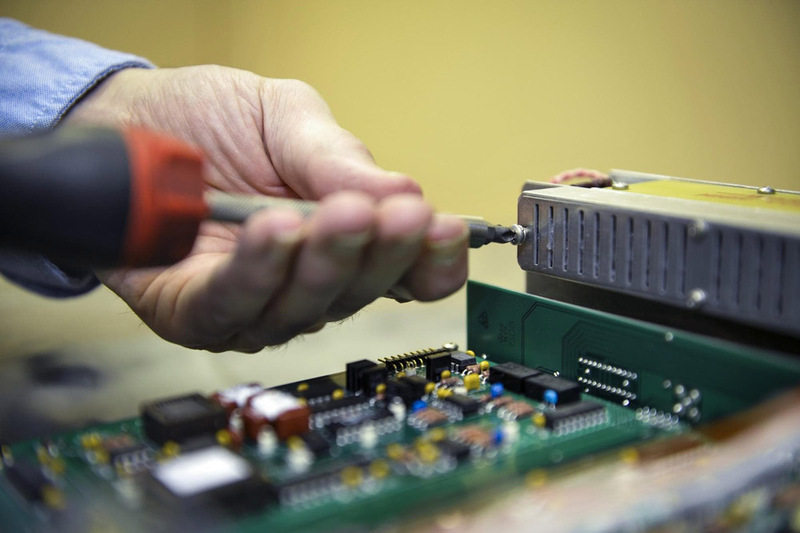 If you are looking to break into the field, a great option is completing an online electronics technician certificate program. Online technical programs can normally be done at your own pace and from the comfort of your own home. You can even test our your new skills in a virtual lab environment. So don't wait any longer and start your career today.